Handling complaints in a professional and thorough manner will ensure your customer is your number one advocate â€“ an asset for any business. Thatâ€™s according to Nayif Demirkaya, head of market and customer support, Global Customer Services, Sony Ericcson. Demirkaya is a speaker at the marcus evans Complaint Handling Strategies for Effective Client Recovery Conference taking place in London on 8-10 June. According to Demirkaya, it is imperative that companies strive to satisfy complaints in order to regain customers and secure loyalty. "If you turn a complaint into a satisfactory resolution you regain the loyalty and repurchase. At the end of the day, that contributes to your profit. The danger of leaving customer complaints unsatisfied is that the customer, basic profitability as well as market relevance, brand awareness, brand image will all be lost. 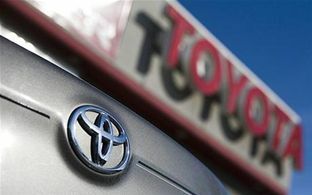 A very good example these days is Toyota and how they managed when their situation was very bad - they lost a lot of customers,â€� he says. Demirkaya concedes that poor complaints management is causing customers to vent their frustrations on social media, specialist complaint forums and review sites while encouraging others join in the tirade. The recession hasnâ€™t brought about a rise in consumer complaints per se but overall consumers are most sensitive than previous generations, he adds. â€œThese days consumers are much more sensitive to product quality and consumer law has changed. Overall the sensitivity of consumers and the willingness to complain has increased but I donâ€™t think this is related to the recession. Social media and the internet has made it easier to complain. The platform has become global and consumers have the opportunity to complain easier and make themselves heard as a single consumer than in the past." The marcus evans Complaint Handling Strategies for Effective Client Recovery Conference is taking place in London on 8-10 June.